This is the third in a series of blog posts that highlight the market and environmental potential of renewable natural gas (RNG). Check back over the next several weeks as we explore the issues and opportunities for RNG in the transportation sector. Our previous two posts explored the processes behind renewable natural gas (RNG) that turn organic material – the same stuff we discard as compost or green waste – into a vehicle fuel that can power natural gas vehicles of all sizes: passenger vehicles, delivery trucks, buses and heavy duty (HD), long haul trucks. In this post we ask: Can RNG meaningfully contribute to the sustainability and energy security needs of the transportation sector? Looking at the success stories of Europe’s RNG market leaders, it’s clear that the answer is yes. We profile two European nations leading the use of RNG in transportation: Sweden, where over 60 percent of the natural gas used to power their natural gas vehicle fleet (NGVs) is from renewable sources, and Germany, where at the end of last year 119 vehicle fueling stations offered 100 percent RNG. The long-term energy and transportation policies of the European Commission, together with national strategies and programs, have begun to shape the development of renewable and low-carbon fuels in Europe. RNG for transport is a key strategy in Sweden’s goal to achieve fossil fuel independence in its road vehicle fleet by 2030. EU directives require that 5.75 percent of total oil consumption in Sweden, and 20 percent of transport fuels, must be supplied from renewable sources by 2020. The Swedish biogas industry was initially formed to meet secure and sustainable heating fuel needs, but now transportation use has outstripped other applications. 43.9 percent of all produced biogas is used as transport fuel, the fastest growing sector for biogas, with a nearly equivalent share used for heating (the remainder is flared or for electricity generation). Over 60 percent of the methane used in Swedish NGVs is produced in local RNG plants. Over a dozen cities in Sweden have bus fleets fueled entirely by RNG. At the end of 2011 there were over 130 public filling stations. Sweden’s NGV fleet is made up of 36,520 light duty vehicles, 1,530 buses and 550 HD trucks. Last summer Sweden’s first liquefied biomethane station opened in Lidköping to supply transport fuel for heavy duty vehicles. In a recent study, the total annual Swedish biogas production potential from waste and residual products has been estimated at 15.2 terawatt hours (TWh) of energy, the equivalent of just over 353 million gallons of diesel fuel. Other reports estimate that the Swedish potential for biomethane production from thermal gasification, primarily of forest wastes, is 59 TWh, equivalent to 1.37 billion gallons of diesel fuel. By the end of 2012, 119 natural gas filling stations across Germany offered 100 percent RNG (more than triple the total in 2011), and RNG blends were offered at 288 filling stations. Germany is far and away the European leader in producing biogas and RNG. In 2012 Germany alone was responsible for 61 percent of all biogas produced in Europe. As of 2009 there were 7,090 biogas plants in Germany – 5,905 which were classified as agricultural. 80 percent of all RNG in Germany is produced from agricultural wastes. The high proportion of agricultural biogas shows Germany’s potential for landfill expansion (to date, no biogas plants in Germany are supplied by landfill projects). In 2012 there were 84 RNG upgrade facilities, 82 of which inject their upgraded gas into pipeline networks. While Germany lags Sweden in its RNG use for transportation, recent gains have been made. Last year, the share of RNG in natural gas for transport increased from 6 percent to over 15 percent, positioning Germany well to meet its national goal of 20 percent renewable gas in transportation by 2020. By the end of last year, 119 natural gas filling stations across Germany offered 100 percent RNG (more than triple the total in 2011), and RNG blends were offered at 288 filling stations. These success stories show two ways of incorporating RNG into the transportation fuel mix at a commercial scale – Sweden’s use of a wide range of anaerobic sources, compared to Germany’s exclusive reliance to date on agricultural waste. If Germany harnesses its landfill gas sites as biogas sources, it has the potential to add even more renewable capacity using existing anaerobic technology. 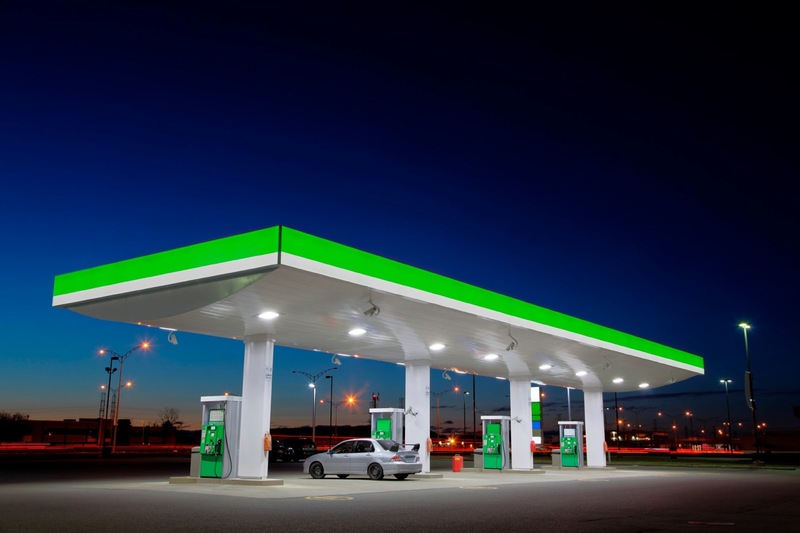 Both countries are continuing to develop biogas resources and the refuelling infrastructure that promote low-carbon, sustainable and secure transportation fuel networks in the coming years. Vanciu, Gabriela and Nino Miresashvili, “Biogas Cars in Sweden: An Emerging Market,” Jonkoping University (May 2012). Ibid. (Biogas end-use: 43.90% for gas vehicles, 43.70% for heat, 8.10% flared, and 4.10% electricity; 0.20% being missing data). NVGA Europe, “Markets & Statistics: Sweden”: available at http://www.ngvaeurope.eu/sweden last accessed March 28, 2013. Svensson, Mattias, Anneli Peterson and Jorgen Held, “Renewable Methane: An Important Aspect When Establishing a More Diversified Sourcing and Distribution of Energy Gas in Sweden” (2009). NGV Global, “Biomethane Fuel Gains Ground in Germany,” news article (March 31, 2013): available at http://www.ngvglobal.com/biomethane-fuel-gains-ground-in-germany-0331. AEBIOM, “European Bioenergy Outlook 2012”. NGV Global, “Biomethane Fuel Gains Ground in Germany”.